In these days of information technology words travel quickly and hence it is hardly surprising that many Europeans are well aware that the EU-Commission and you personally are putting pressure upon the European Parliament to concede to your demands regarding the Firearms Directive. The latter can at first glance only be described as a work of haste since it was presented only a few days after the grusome terrorist acts in Paris. However, people like myself that have been involved in safeguarding law abiding citizens rights regarding firearms for some years are very much aware that the EU-Commission only seized the correct moment in order to implement a political agenda that lacks empirical substance. We are also well aware that a lot of the ideological agenda stems from civil servants within the Swedish Police such as Lars Henriksson and Peter Thorsell, the latter head of the Swedish Police’s Firearms Departement. Henriksson was technical adviser to Fabio Marini (head of Task Force Firearms in DG Home) before the EU-Commission presented the new Firearms Directive while the latter is the technical so called expert for the Swedish government due to lobbying from his former colleague and personal friend, Mr Hänninger at the Department of Justice. The Police failed to implement the same agenda back in 2013 here in Sweden due to the democratic consultation process, in which I personally was involved, that obliterated the empirical substance in the suggestions made by the police, for instance banning semiautomatic sporter rifles. It is quite remarkable that for instance Commissioner Elzbieta Bienkowska publicly presented outright falsified statistics in which non-member states were included in order to justify the Commission´s proposal for a new Firearms Directive. It is also beyond remarkable that the EU-Commission blatantly disregards the EU´s own laws regarding problem assessment, analysis of consequences and the principals of subsidiarity. Of course it is the responsibilty of every civilized society to take precautions regarding crime, terrorism etc. But such precautions must be based upon empirical studies. Not lobbyism from civil servants that fail to make distinction from their personal point of views and the laws that they should uphold, not upon propaganda and outright lies. Law abiding gun ownership is not a problem in Europe, it is smuggling, crime and unchecked borders that should concern the EU. I wonder how you can perceive yourself as a good democrat when the EU-Commision under your leadership acts in this manner as it does? Nationalism is frequently described in the public narrative as the biggest threat towards the cohesion of Europe. Sure enough, it is a variable but not as much as people like you Monsieur Juncker. By trying to implement this absurd agenda you are activly creating a deep distrust for the EU as such. It is a matter of principals that greatly outstreaches the specific question as such. In a nation like Sweden we are 600 000 gun owners out of a population of 9 million people. We own 2 million firearms and yet there are very few instances of missuse per year. Crime and gun violence is becoming ever more frequent though, through smuggling of former military firearms from the Balkans. A semiautomatic sporter rifle has never been stolen or used in crime in Swedish legal history! Yet it is your agenda to utterly disregard from empirical evidence and implement a policy that will not have any effect in order to address the actual problems. I am quite confident that EU-Commission is not so naive which instead makes it dishonest. Personally I voted no to Sweden joining both the EU and EMU and I am increasingly convinced in my decision. 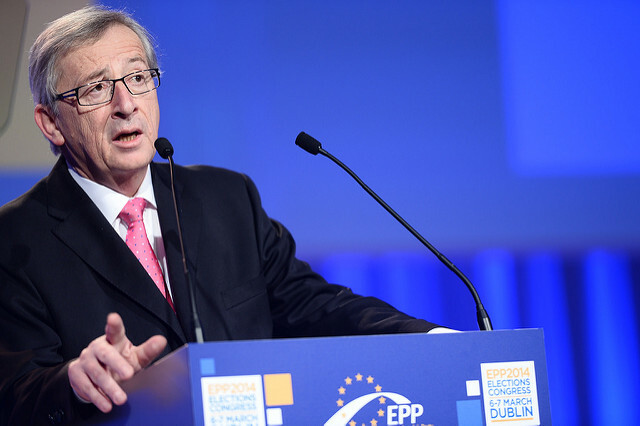 My question to you Monsieur Juncker, would you really like to prove that Mr Farage and the British voters were right? Why should we be members of a union in which its leadership disregards the union’s own laws and policies?